After stopovers in San Francisco and New York, Andrew McCutchen is heading back to the state of Pennsylvania. The longtime face of the Pittsburgh Pirates has reached an agreement to sign with the Philadelphia Phillies. 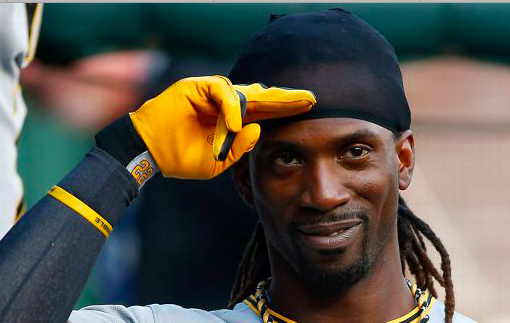 According to reports, McCutchen will join the Phillies on a three-year deal worth $50 million. There is also a club option for a fourth year, potentially keeping McCutchen in the City of Brotherly Love through the 2022 season. McCutchen’s odyssey began last winter when the Pirates made the surprising move of trading him to the Giants. When San Francisco was out of contention last summer, they shipped him back across the east coast to the Yankees. Now as a free agent for the first time in his career, the former MVP is going right back to the National League and joining the Phillies. Having turned 32 in October, it’s safe to say that McCutchen’s best years are behind him. However, he’s clearly still a productive player. Between the Giants and Yankees, McCutchen hit .255 with an OPS of .795 in 2018. He still had the power to hit 20 home runs, hitting at least that many long balls for the eighth straight season. He will also bring some experience and leadership to a Phillies team that’s still young and learning to win. Of course, it’ll be interesting to see how the Phillies make room for McCutchen in their outfield. With Rhys Hoskins moving to first base after the trade that sent Carlos Santana to Seattle, the Phillies opened some space in their outfield. However, the Phils still have the likes of Odubel Herrera, Nick Williams, Roman Quinn, and Dylan Cozens set to take up space in their outfield. The addition of McCutchen could allow the Phillies to use one or two of those outfielders in a trade. While McCutchen has been a center fielder most of his career, he has experience playing the corner outfield spots as well. That versatility could give the Phillies the versatility to trade any of those outfielders, knowing McCutchen can play anywhere they need him. Outside of working out a trade involving one of those outfielders, it’ll be interesting to see where the Phillies go from here. Heading into the offseason, there were rumblings of the club being prepared to spend “stupid” amounts of money in free agency. While dishing out $50 million to sign McCutchen is noteworthy, it doesn’t necessarily qualify as stupid money. Obviously, McCutchen will be a much-appreciated bat in Philadelphia’s lineup for the next few seasons. But he’s not necessarily the big splash the team has essentially promised its fan base. Odds are the Phillies have at least one more big move in them this offseason.